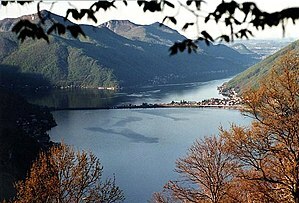 Wikimedia Commons has media related to Ticino. Tourism office, official tourism office of Ticino. official website for wine of Ticino. Ethnologue report for Switzerland, Ethnologue language report. Virtual Tour of Canton Ticino, QuickTime VR virtual tour of Canton Ticino. This page was last changed on 17 October 2017, at 16:49.